Colvin & Moggridge » Colvin & Moggridge help secure planning permission for reinstatement of missing country house. 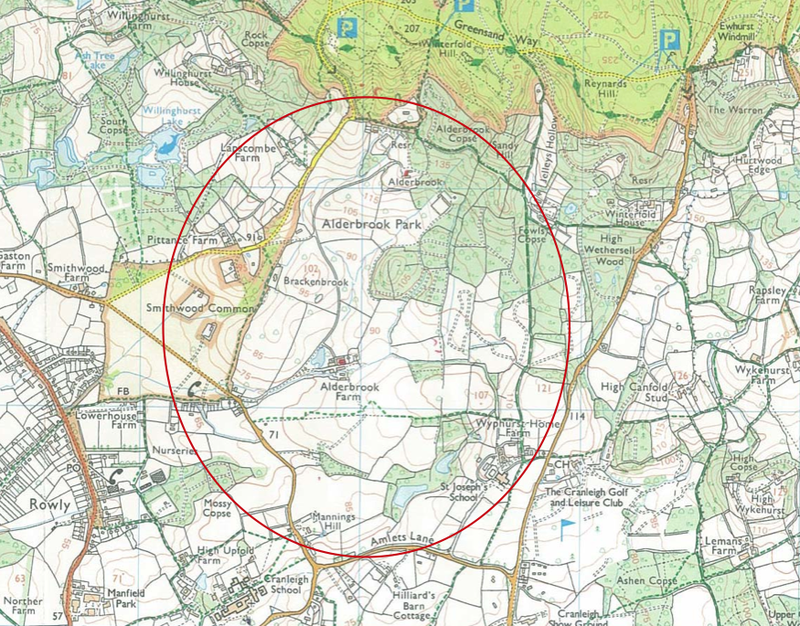 Alderbrook Park is an important country estate located in the Metropolitan Green Belt and the Surrey Hills Area of Outstanding Natural Beauty (AONB). This wonderful ancient landscape was first enriched by architect Norman Shaw in the 1880s and then by the garden design of Percy S Cane in 1938. 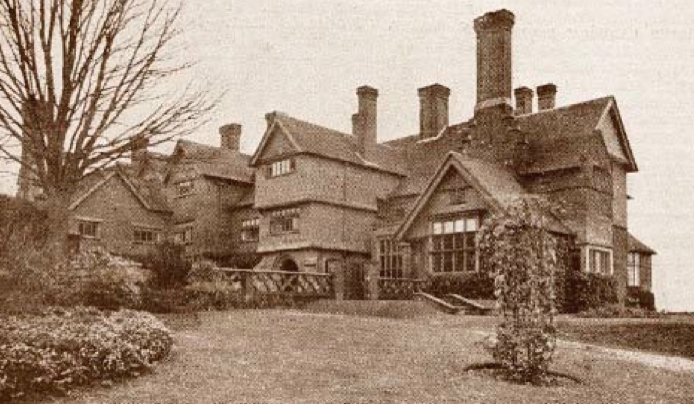 At the heart of Alderbrook Park was an imposing mansion. It was the estate’s principal raison d’être and was the central focus, both within the park and from longer landscape views. 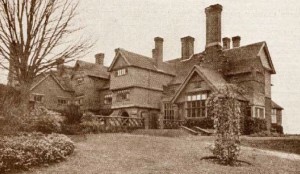 Tragically the house was demolished in 1970 and replaced by an inappropriately small house, completely out of scale with its parkland setting and unfitting with the historic landscape and its attendant original buildings. In 2009 Colvin & Moggridge were appointed as the landscape design specialists to work alongside architects Pringle Richards Sharratt, as well as a number of other carefully chosen experts. This design-team worked together on a proposal to replace the current house with one that would return the estate to its former glory. This would involve, not only rebuilding the mansion house, but also restoring and improving the landscaped gardens around the new house to, once again, create a coherent and dramatic new setting. The new landscaping will also incorporate other parts of the original estate, now fallen into dilapidation – the walled kitchen gardens and glasshouses, for example. 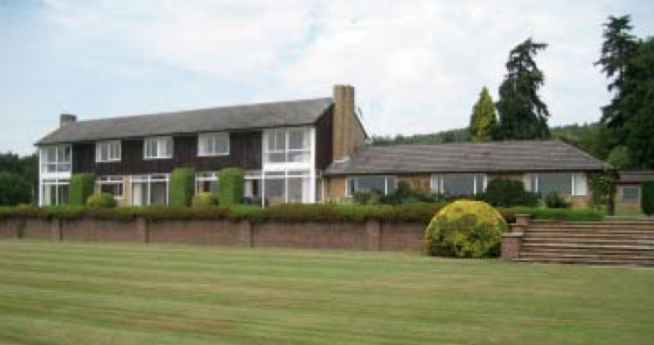 Despite the Planning Officer’s recommendation to refuse the application, Councillors unanimously voted to grant consent for the new house and garden development. Success was in part due to two years of patient design development and attentive consultation with interested parties, but mainly attributable to innovative design, the use of ground-breaking techniques and the exceptionally high standards of the design team. This success reflects the talents of all involved in the project and is a great example of the kind of collaborative co-creation that we enjoy so much as a practice. Norman Shaw’s original house was in its day “modern” and so the new house will be a modern idiom of today. 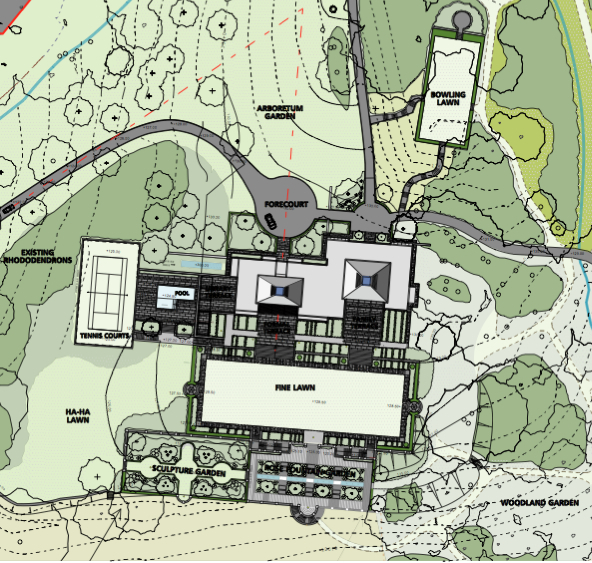 Sustainability forms the heart of the design proposals for the new house and landscape. 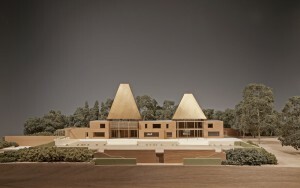 So strong are the credentials of the project that an education centre is planned, which will give local school children a rare opportunity to experience “sustainability” for themselves. The granting of Planning Permission secures significant investment in the estate and safeguards this historic parkland for future generations.